I love fun Christmas reads. Fun fiction should be a part of December. This being a crazy, busy month, I tend to lean towards light and fluffy reads. Last year I read the second book in the Mrs. Miracle "series" by Macomber. (I didn't realize it was the sequel.) This year I thought I'd best read the first, Mrs. Miracle . Last year I mentioned that I didn't know whether or not Debbie Macomber was a Christian or not, but that I thought she definitely had some understanding of theology. I asked readers back then if they had any information on her and one commenter said that she believed Macomber is indeed a Christian but they weren't completely sure. Picking up and reading Mrs. Miracle I'm left with the same question: is she, or isn't she? In Mrs. Miracle we meet widower Seth Webster. Seth is at his wits end raising two six-year old twin boys when Emily Merkle (aka Mrs. Miracle) enters the household and restores order out of the chaos. 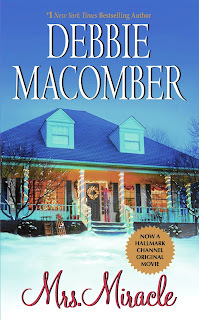 Reba Maxwell is struggling through another depressing Christmas season, at war with various family members after suffering a serious falling out with her sister. This fallout resulted in Reba's calling off her engagement and wedding to a guy four years prior. It is an accident that Reba and Seth meet up or does Mrs. Miracle have something to do with it? The story is incredibly predictable in every single respect. I still enjoyed it. I was after happy and fluffy and was completely and thoroughly satisfied. I could have watched the movie or read the book but I thought I'd feel a little more intellectual if I read the book. (Now that I've read the book I'm free to watch the movie though and I'd kind of like to. So I don't think I can say I really saved time in the end.) Actually, based on the introduction of this particular edition I picked up, the book has been "tied into the Hallmark Channel movie" so I'm not sure if there is an earlier edition that looked a bit different. No matter. I really don't care enough to research this question. The point was to mentally escape to a world with Christmas trees and a happy ever after ending. Even though it is "light" reading, that doesn't really give me permission to turn my brain off as everything we read or watch should be examined in the light of scripture. I have to tell you there were some cons I found along the way, but none of which bothered me so much as to keep me from the story. 1. The opening sentence almost did me in. I mean, I was so put off that I almost closed the book. "I told you not to swear, you little turd." Seth Webster grabbed his sons by the scruffs of their necks in order to keep his squirming twins apart." 2. There are a few a-little-bit-too-romantic-situations in the book that I really could have done without. Seth and Reba have some passionate kisses and Seth's inlaws have "a moment" in their bed which could have easily been eliminated from the book. Although I would hastily say that Macomber, for feeling the need to present such scenes, did so as subtly as could possibly be done. She used one sentence to tell you what's happening. The problem is that one descriptive sentence can paint a scene in the reader's head. And that is unwelcome. So I do feel the need to point that out. Besides these things, I was able to enjoy the book right fine and dandy. In fact, I thought Macomber wrote about the need for forgiveness, and the benefits of it, in a remarkably clever and wise way. She deftly wove a sermon about forgiveness throughout these pages that, aside from a good, solid, straight-on sermon on the topic, was very good. She talked about how scriptures require it but put more heavy emphasis on the spiritual and emotional health that the forgiver receives once they let go of bitterness, anger and hurt. That's truly not an easy topic to tackle. It would be wonderful if forgiveness came easily and naturally but the fact is that it does not. Human nature desires to be self-satisfied. We want apologies! We want pats on the back! We want to know that we are right! The idea of forgiveness can be hard to grapple with, even when you want to forgive. I thought Macomber did a brilliant and accurate job of explaining how broken a life is that fails to forgive, and then also shared the joy of life post-forgiveness being extended. This aspect of the story really struck me as being well done. After reading two Christmas-related titles by Macomber, I have to say I'm once again curious about her non-holiday titles. However, I've heard that they contain "scenes" which - even though between married couples - was still a bit too much. That's a pity because if such scenes weren't there I would be much more inclined to read more of her books. She is a very fun author. You might very well find me talking about another of her Christmas titles next year! She has a bunch so I can spread them out. I do believe I will look forward to that. 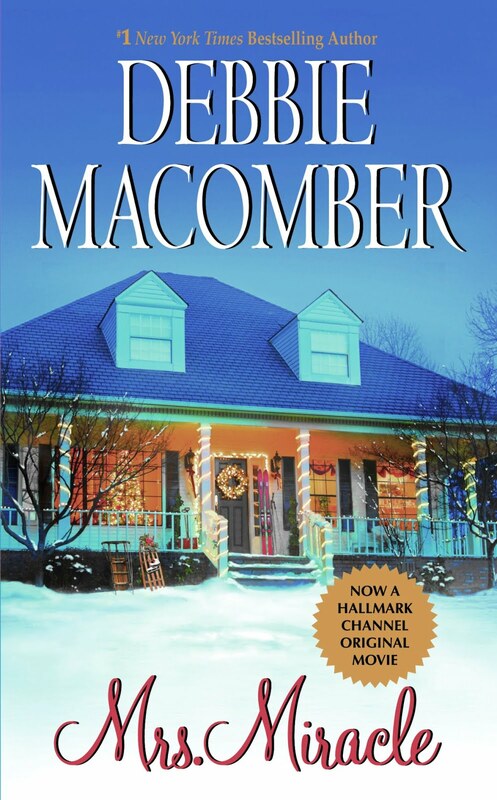 This is funny to me because Debbie Macomber lives in my town. And she owns the yarn shop, and the tea room, and . . . her name is everywhere. I can't stand her books (predictable and sweet just doesn't do it for me). Also, the food at the tea room is exceedingly bland. So it kind of staggers me to remember that she's actually a big name in fiction outside our little town . . . it's like, "Oh, no! She's invading!" Not that I have anything against her personally, it's just not at all to my taste. I've heard that her older books are much less conservative than her newer ones. I think I recall that she became a Christian and changed the way she wrote. That's a very vague memory, so don't hold that as fact. I don't know what year would mark the more conservative reads, either. I've read one of her non-holiday titles and I don't recall having any issues with scenes, but it's been about 4 years ago. I used to not be bothered with those little scenes (even read a few Harlequins). But I was convicted about it shortly before meeting my husband. Now when I come across them, I get squeamish. It bothers me in the movies, too. It's hard to avoid, though. Sometimes a book that seems perfectly innocent sneaks it in. The movies are usually worse. :( I wish people didn't have to write and see "THAT" so much! I also enjoy light Christmas reads this time of year. Good review! I enjoyed your review. I've been following your blog for awhile and wanted to say a quick Thank You for all your book recommendations! I've followed Debbie Macomber's writings over the years and while I do not know her personally, I do believe she is a woman of deep faith and conviction. She expresses her faith in her non-fiction book titled God's Guest List and directly addresses the issue of her older books versus how she writes now in the section "The Self Appointed Critic." She officially crossed over to writing great stories for women about life and friendship (with a bit of wholesome romance) when she wrote her Cedar Cove book series. I highly recommend God's Guest List. Ms. Macomber is so open and shares so much of herself, her faith and her life in this book! I am catching up on her other non-fiction books now and am enjoying reading them as well. I'd love to hear/read your thoughts on her book God's Guest List if you read it. Wishing you and your family a very Merry Christmas! It is helpful to hear more about her because when it comes to fluffy/Christmas reads, I tend not to look up much info about the book because I'm just after a "comedy/romance/chick flick". @QOC - I'm now going to think it's HILARIOUS that she lives in YOUR town. With YOU! The book of hers that I had mentioned with the explicit scene was The Shop on Blossom Street about four women from different walks of life coming together over a knitting class (what could sound more innocent than that?) It was published in 2004 -- I don't know if that was before or after the change Renee spoke of. I started to share the one sentence that has been burned in my brain since I saw it and comes to mind whenever I see her name now, just to show what I meant, but felt that would be going too far. If I didn't want to put it on my blog I'm sure you wouldn't want it here, either. If it was after, I'd be interested to know how she reconciles such things with her faith. "Oh, honey! What fragrant breath you have!" <--- That made ME lol! Too funny. "Even though it is "light" reading, that doesn't really give me permission to turn my brain off as everything we read or watch should be examined in the light of scripture."